About Us | Maietta & Sons, Inc. 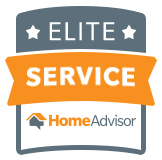 Since 1992, Maietta & Sons, Inc owner, Dennis Maietta, has always placed high importance on complete customer satisfaction. As a “one man show”, Dennis is in charge of everything from the initial call to installation, giving his clients the confidence that the person they speak with on the phone is the person who shows up for the job. Quality workmanship, attention to detail and fair prices are core of the longevity and success of Maietta & Sons, Inc, standing by the motto “Competitive prices with old school work ethics”. Over the years, the company has managed to develop a reputation as one of the premiere garage door companies within the 30 Mile radius of Milford, Massachusetts including Franklin, Bellingham, & Framingham, MA and the surrounding areas. For the very best in garage door services, you can count on your local experts to get the job done right and on budget. Call us today at 508-400-7100 for a friendly chat about your garage requirements.